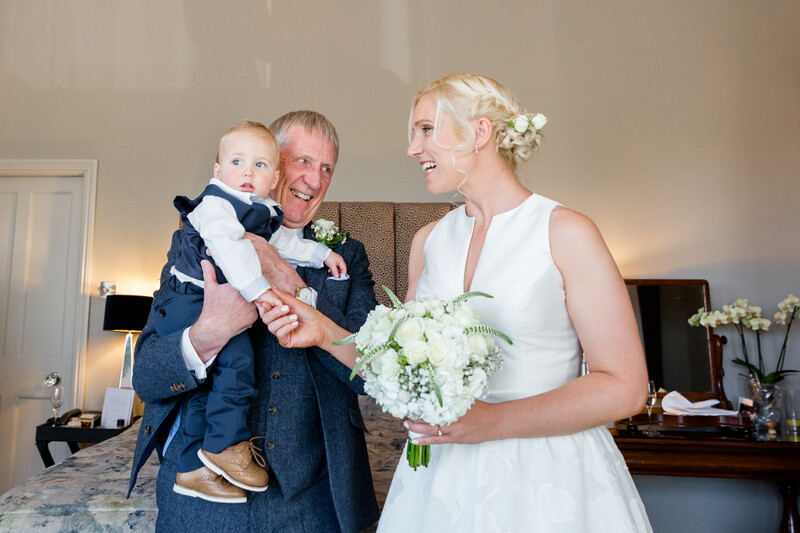 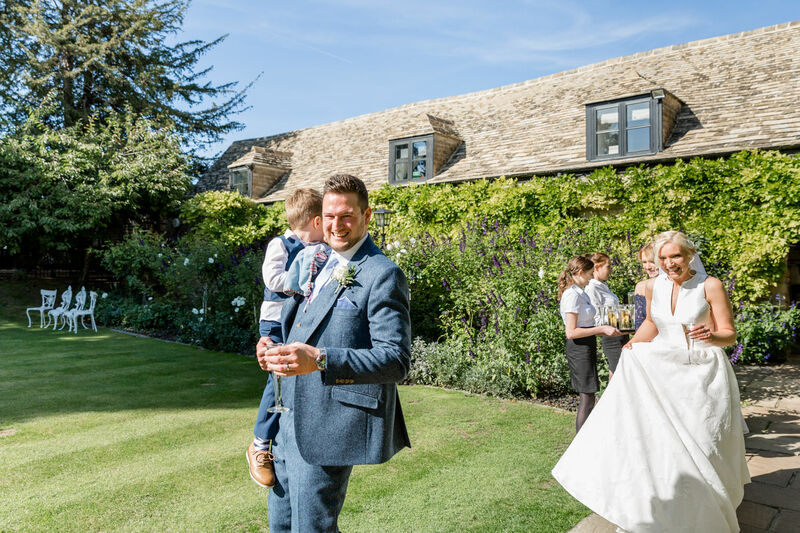 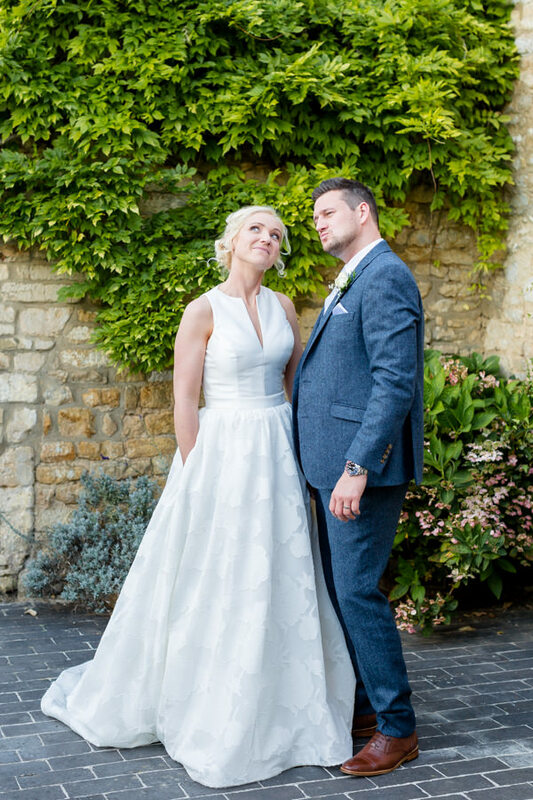 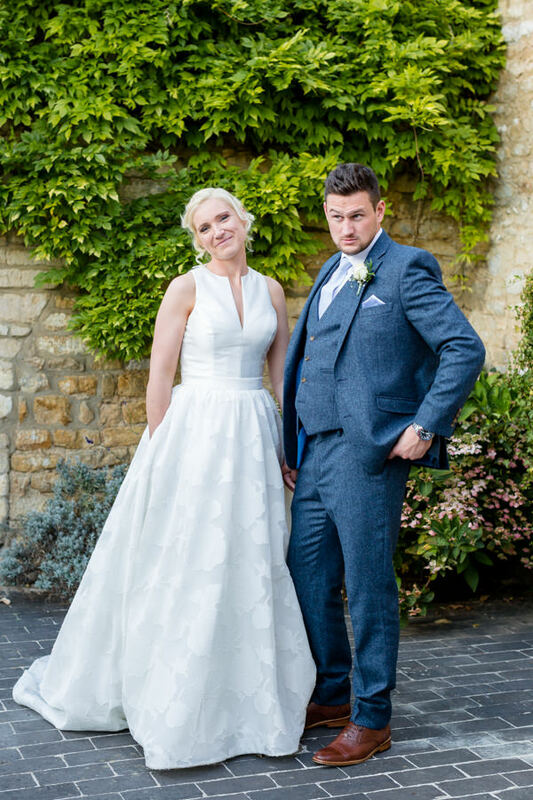 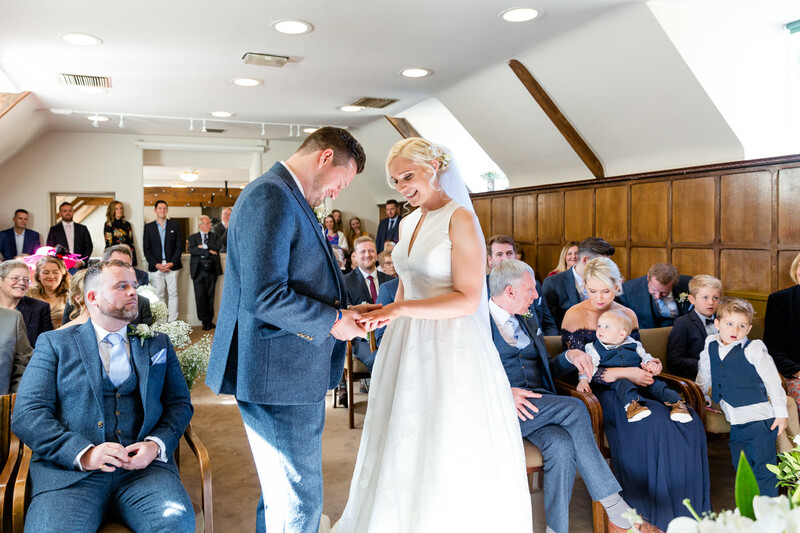 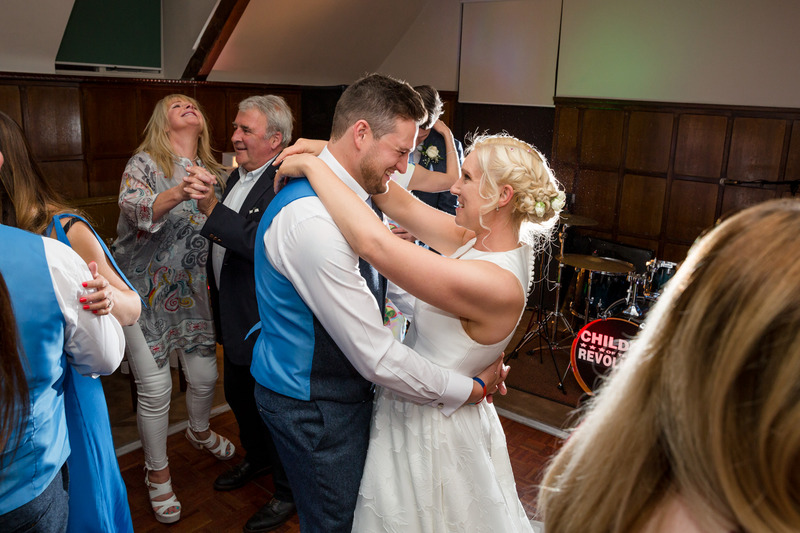 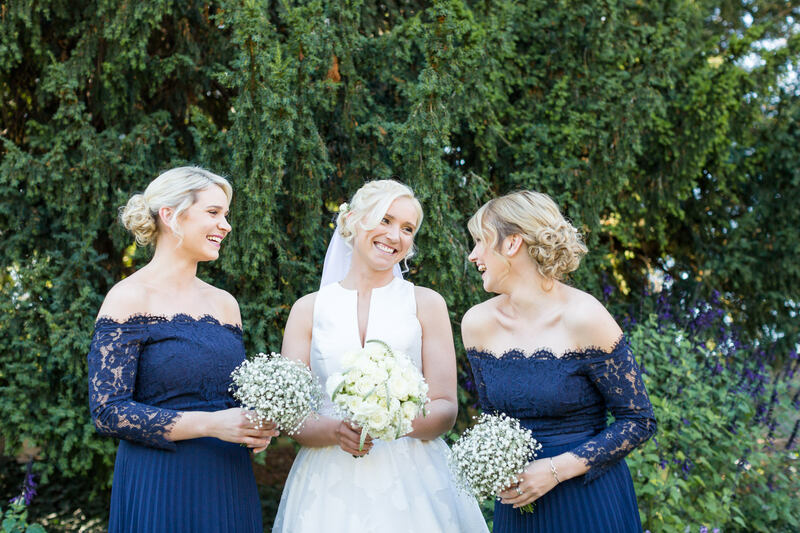 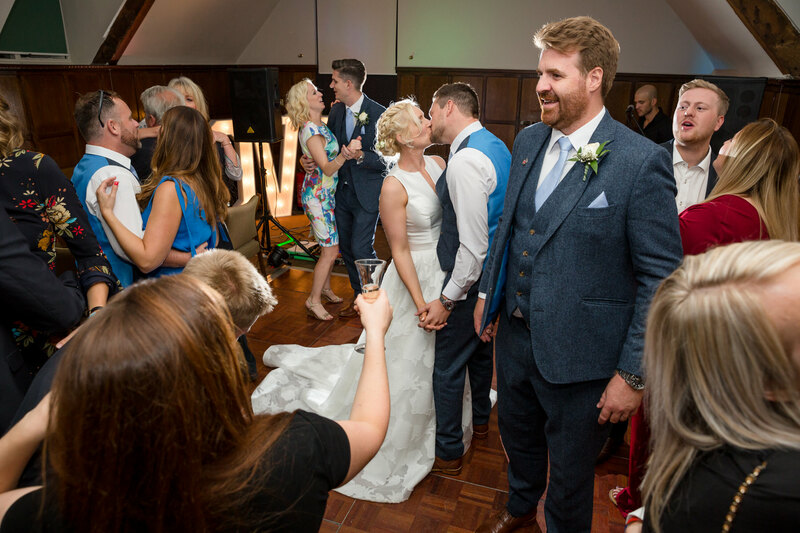 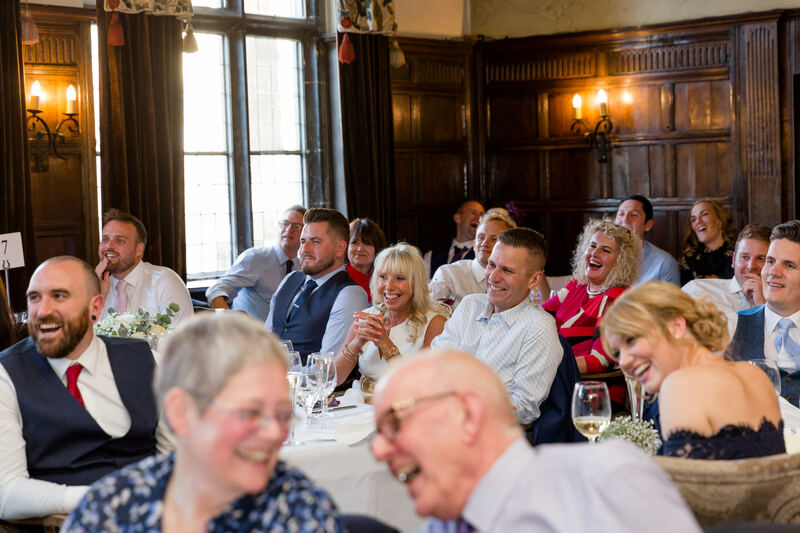 Jen & Stuart were married on Saturday at The George Hotel in Stamford in front of their closest family and friends, including their super cute little boys Thomas and William. 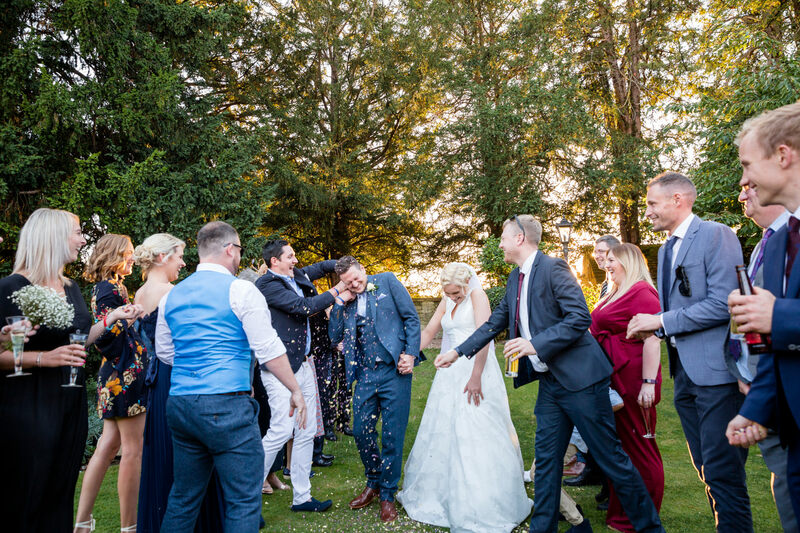 After an extremely fun pre-wedding shoot which included Stu giving Jen a piggy back – and then Jen carrying Stu, I knew we were all in for a great day! 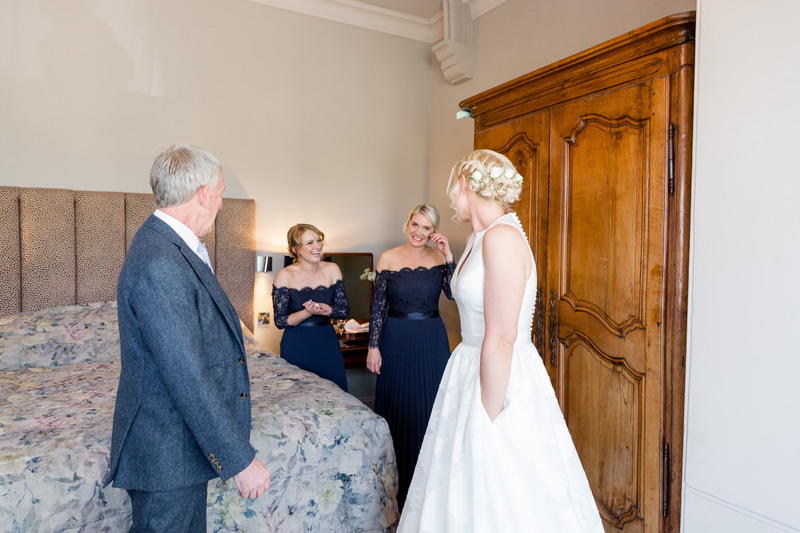 The day started at The George with Jen and her bridesmaids getting themselves and the venue ready. 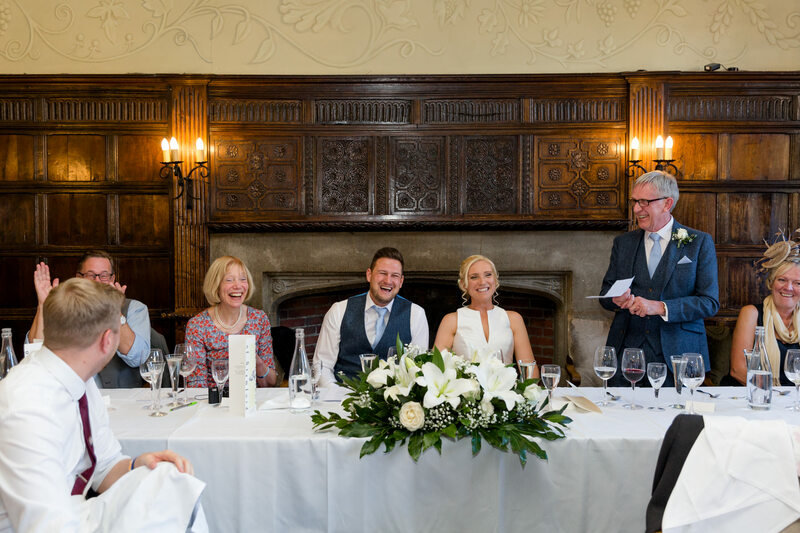 An extremely chilled out morning Jen was enjoying time with her family, friends and a glass of fizz! 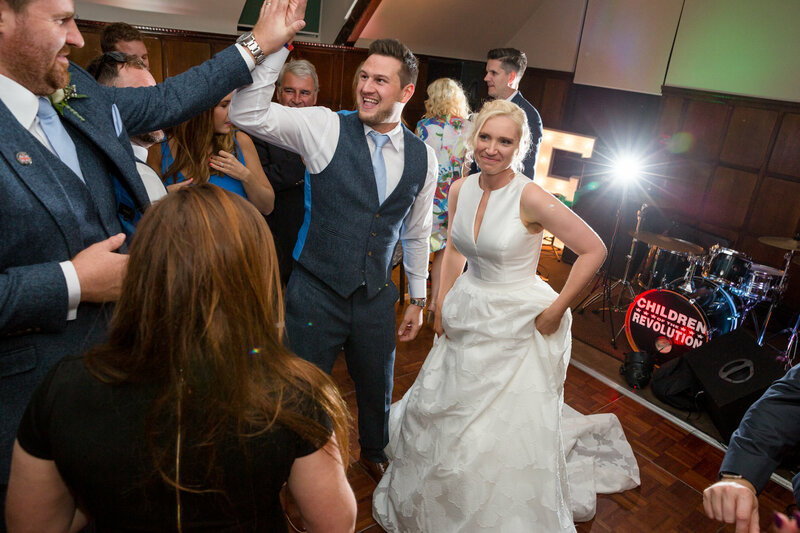 It’s fair to say that Stuart was absolutely breath taken when he saw Jen in her wedding dress for the first time. 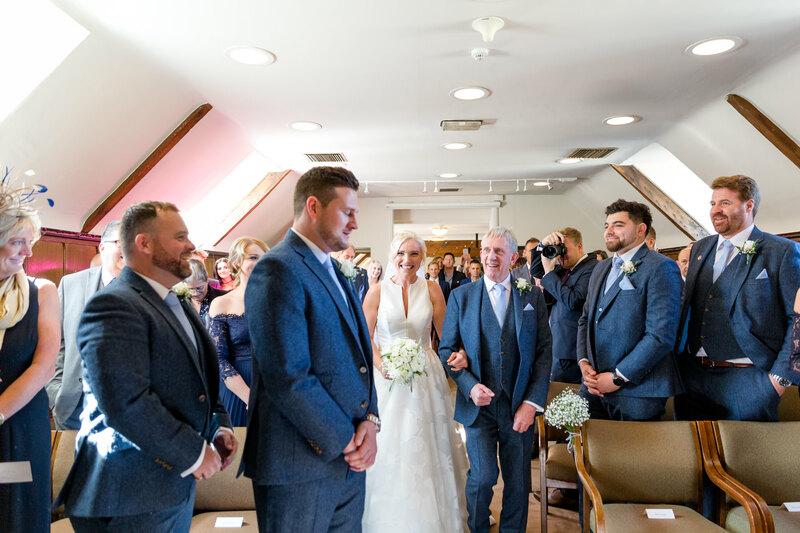 He’s a very laid back person, but he had to take a moment to compose himself before they both beamed their way through the ceremony. 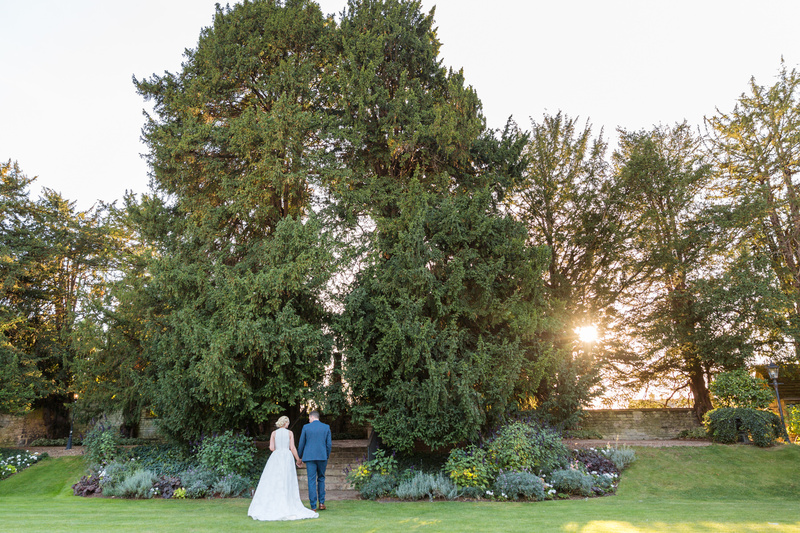 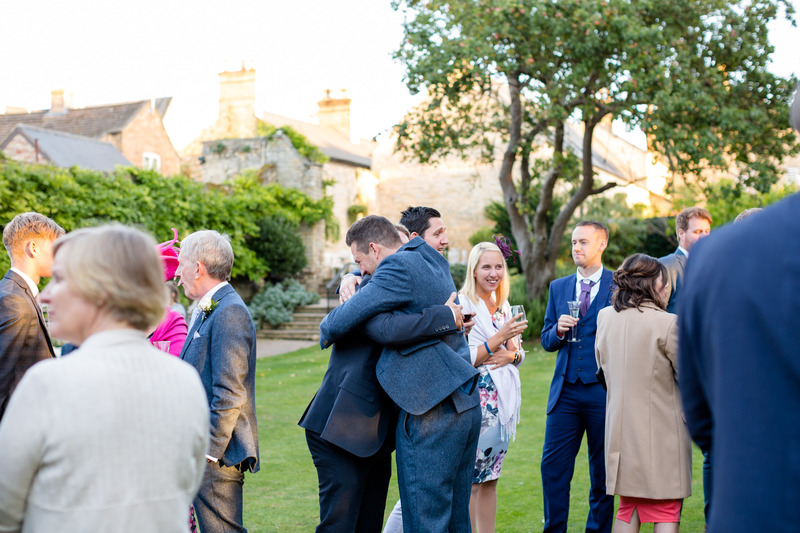 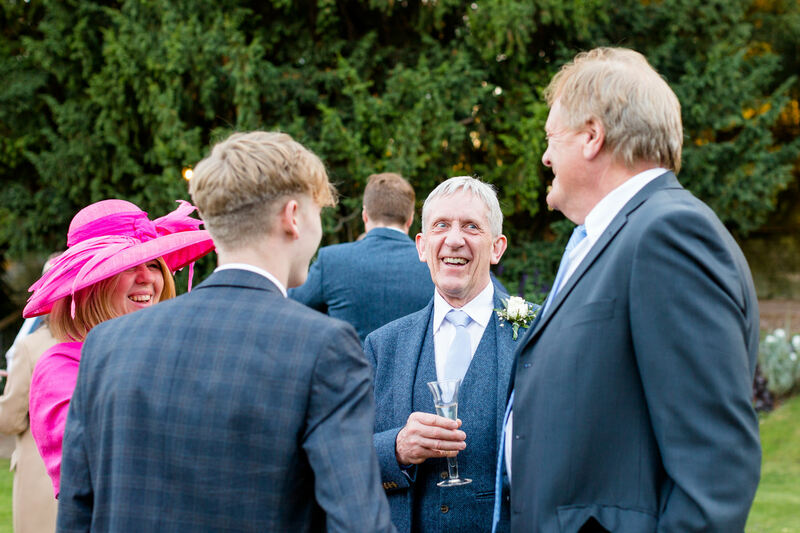 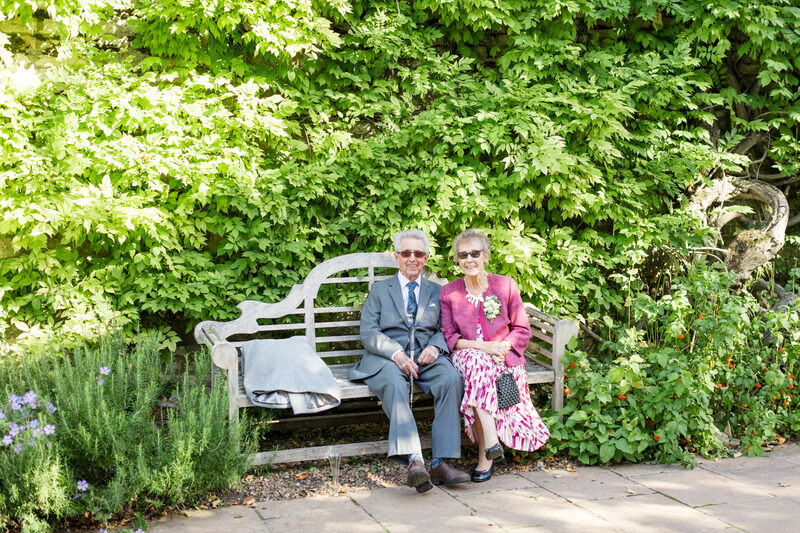 Lots of mingling, group photographs and canapés took place in the in the gardens before heading inside for hilarious speeches and the wedding breakfast. 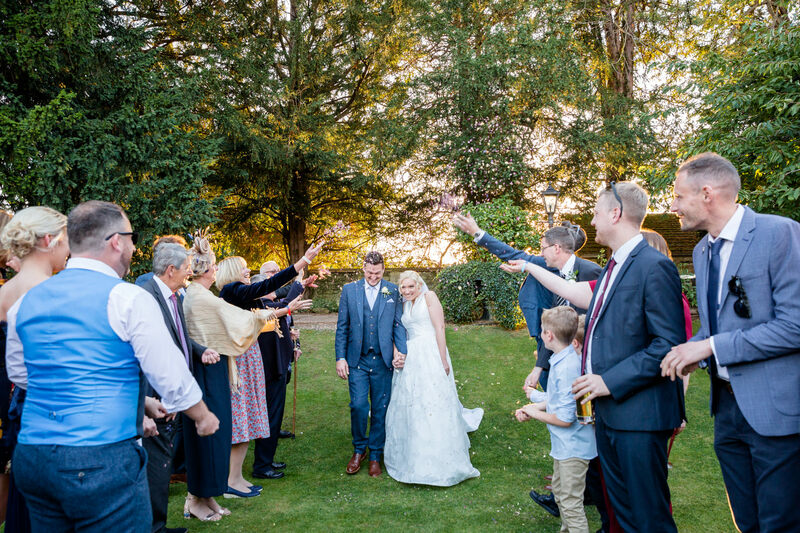 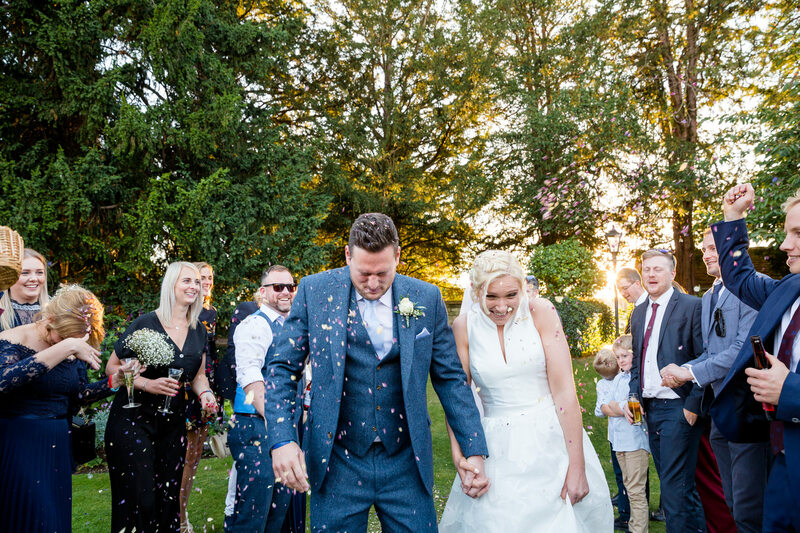 We ran out of time for confetti before the meal, which ended up doing us a massive favour because the sun was getting low and mellow behind some trees and made a beautiful backdrop. 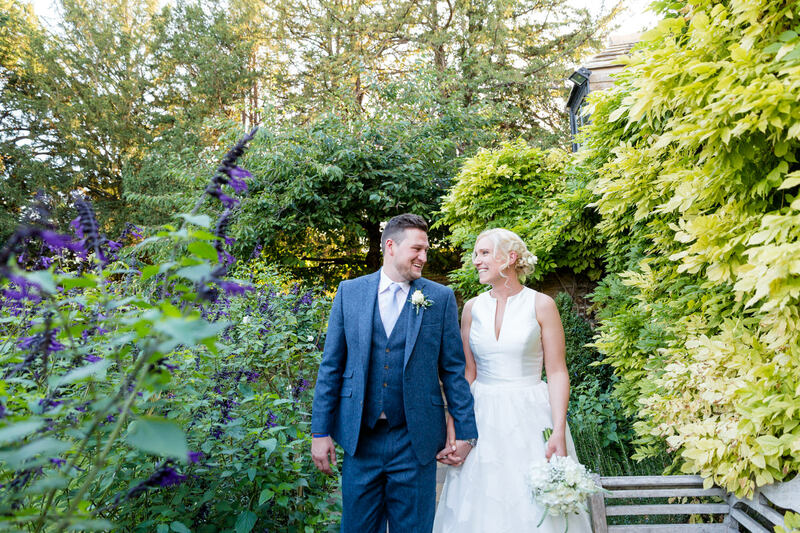 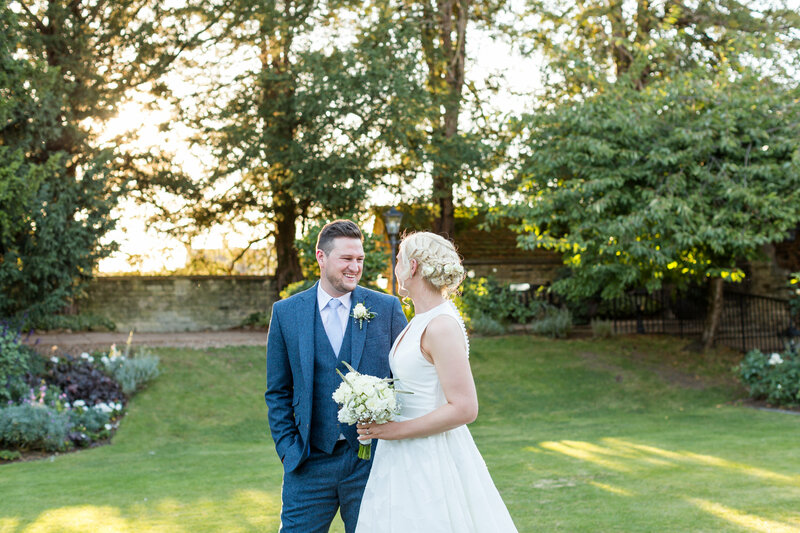 Jen and Stuart smiled all day long, laughs a plenty in the wonderful autumnal sunshine. 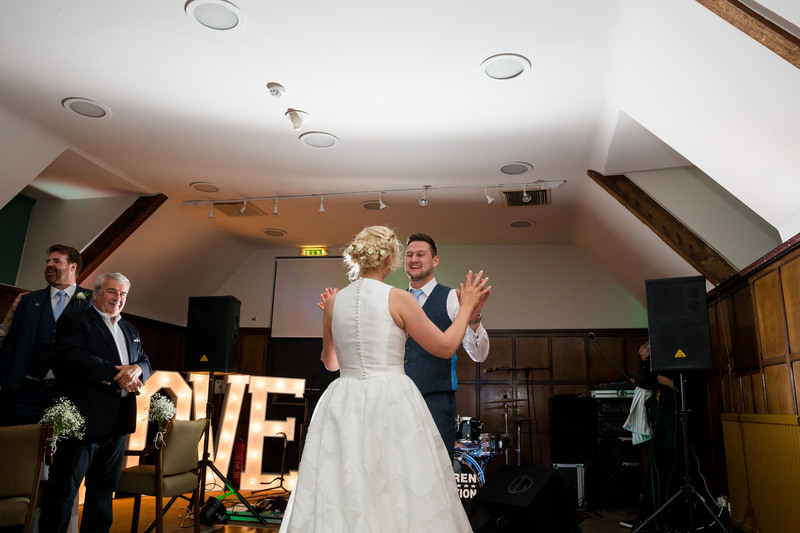 Here is a small selection of images for you to enjoy.